Giant Boy 20 Inch Bike. Bike is in good condition but has normal signs of wear and tear after 2 years. 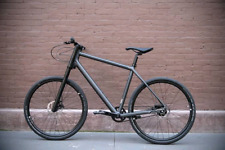 Note needs a rear puncture fixed and front brakes require adjustment. My son had just outgrown this one and it needs to go. Very good tyres with about 85% tread left. bike still very shiny. NEW Paw Patrol Bike 30cm Wheel diameter: 30cm. Paw Patrol Bike 30cm. Paw Patrol graphics. Perfect first bike for your child. Carriers Prams Strollers Buggys Bassinets Mattresses Portacots Travel cots Cots Mattresses. Draws High chairs Walkers Beds Playgyms Booster Seats Change Tables Car Seats. Trending at AU $90.34eBay determines this price through a machine-learned model of the product's sale prices within the last 90 days. 27.5 tires are more torque than the 700c thus better acceleration and less effort to balance the bike . Mens or boys push bike giant silver grey. Condition is Used. Blue bike. Condition is Used. Local pickup only. Byk E450 White & Orange. Condition is Used. Prahran Victoria 3181 Local pickup only. Boys bmx bikes. Condition is Used. Local pickup only. CAN BE PICKED UP FROM OLD VALUES IN FREMANTLE 114 HOLLAND ST FREMANTLE OR MOUNT NASURA (ARMADALE AREA). Kodiak Southern Star 24 inch wheel Mountain bike.18 speed.Boys bicycle.Great condition. boys mountain bikes. Condition is Used, still in great condition. Size 24. Brand new back tyre, serviced 6 months ago.Bought brand new in oct 2016 for $455. Includes drink holder. Always kept in garage. Does includes scratches, inc one on seat. 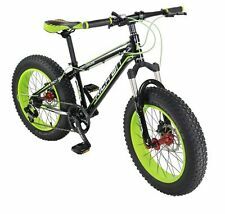 Southern Star Boys Bike 20 Inch -Green. Condition is Used in very good condition. Shimano Gear. Grip shift gears. Child’s Bike - Specialized Hotrock Coaster 16” Boys Bike. Child’s Bike - Specialized Hotrock Coaster 16” Boys Bike.. Condition is Used. There are no training wheels included. There are some scratched but not huge. Boys Giant Bike. Condition is Used. Boys bike only, used. Condition is Used. Kids 20" (50cm) BMX Bicycle. Condition is new but box is damage with some water. Easy to set up. Local pickup only. The low centre of gravity seating position with smooth roll tyres will give riders an enjoyable riding experience. The padded seat makes riding comfortable, while the front and rear brakes provide sure stopping power. Rides well, plenty of life in it. Cash on pick up only. Used BMX bike - Kink Volte, green colour. Good condition. 3sp Shimano Nexus Twist Grip Gears. In good used condition as per pics. 24 x 1.75 Tyres. Condition is Used. Training Wheels included. The bike is in. Bike stand not included. (Hardly used, my son had this as a surprise xmas present but wasn't interested in bikes. prefers his xbox :). Also see my girls/woman's bike also for sale. PICK UP ONLY, from Engadine 2233 NSW. Kids Bike - 40cm tyre size. Used but still great riding condition. New listing16" Malvern Star MX16 Boy's Bike with training wheels - Great 1st bike! 16" Malvern Star MX16 Boy's Bike with training wheels - Great 1st bike!. Condition is Used. Local pickup only. The 3 piece crank and KMC chain adds quality at an affordable price. Simply follow the manual book included. Assembling is required, simply follow the manual book included to attached the handle bars, front wheel, seat & training wheels. 2018 HASA GALLOP 3.0 Shimano 27 Speed 29" Wheel Mountain Bike Bicycle 18"
Fork: HASA 360-29" Suspension, Steer:25.4x28.6mm, Lock Out Stanchion: Ti, Travel 100mm. Year: 2018. Derailleurs: Front: SHIMANO Altus FDM370L6, Rear: SHIMANO Altus RDM370SGSL. Shifters: SHIMANO Altus SLM370LBL, SLM370RAL. Mongoose Racer X 20” Boys Bike (2017) - Great Condition! Blackburn VIC. Condition is Used. Local pickup only. 2018 HASA GALLOP 3.0 Shimano 27 Speed 29" Wheel Mountain Bike Bicycle 20"